Have a party coming up and need some lighting to set the atmosphere? 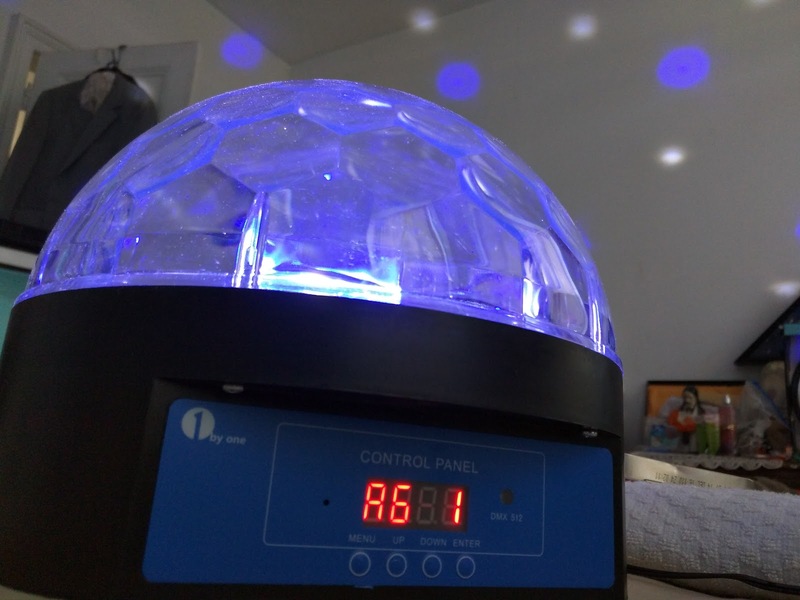 1ByOne has the solution for you with their Super LED Dome Light. This is a disco light that uses a prism dome rather than the traditional dotted or blocked dome. it results in a unique lighting effect on whatever location it shines on. This Disco ball also is sound reactive and supports DMX in and out. Light Source: 2pcs red LEDs, 1pc Yellow LED, 1pc Green LED, 1pc White LED, 1pc Blue LED. With sound response or operate automatically. The light can be controlled by DMX512 with 6 channel control. Has a built in mounting bracket. Power cable is very short especially if you plan on mounting on a ceiling. At a glance it is hard to find any design flaws with this disco ball. Under closer inspection it is still hard to find any flaws. This is a slight bleed of blue if you look at the control panel if you look where it connect to the metal. The power cord is on the short side but it is noting that an extension cord can’t fix. While this disco light isn’t bursting with features, in my experience all the features work as they should. As long as you follow the instructions you shouldn’t have any real issues. Everything is pretty much self explanatory. 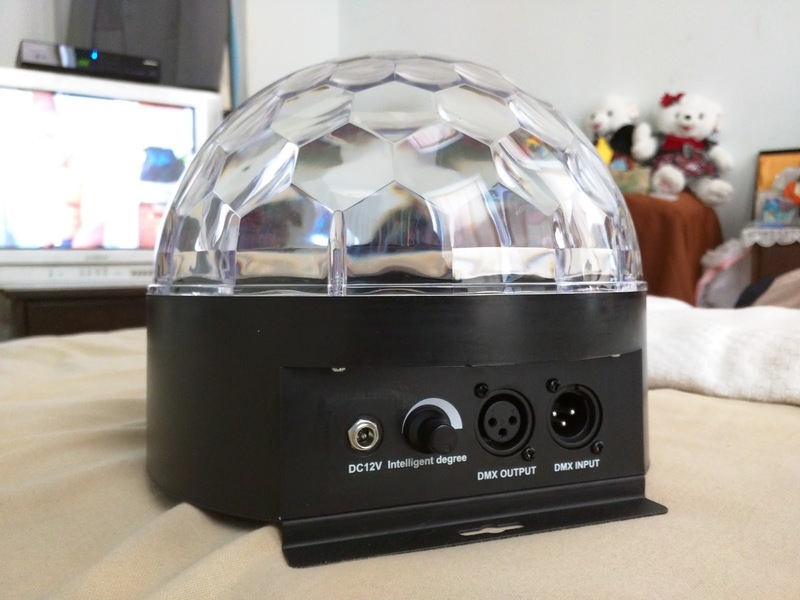 Chances are you won’t find another disco ball of this magnitude at this price so if you are looking for a good one with DMX control this is it.